Court hearings and LPAT hearings are open to the public. On December 17, 2018, the town was served with an application by ClubLink to the Ontario Superior Court of Justice to quash the Heritage Designation By-law 2017-138, designating the Glen Abbey Golf Course as a property of cultural heritage value or interest pursuant to the provisions of the Ontario Heritage Act. The town will be opposing this application. No dates have been set for this proceeding. Earlier this year, ClubLink appealed the town’s Cultural Heritage Landscape Conservation Plan By-law 2018-019, the Ontario Heritage Act Delegation Powers By-law 2018-020, and the Cultural Heritage Landscape Conservation Plan for the Glen Abbey. The court hearing took place on October 22 and 23, 2018. The decision issued by the Ontario Superior Court of Justice quashed the town’s Cultural Heritage Landscape Conservation Plan for Glen Abbey and the by-laws/amendments implementing the CHL strategy A special meeting of Council to determine next steps was held on Monday January 7, 2019. At this meeting, Council gave instructions to staff to appeal this decision. The Ontario Court of Appeal hearing has been scheduled for May 23, 2019. The Local Planning Appeal Tribunal (LPAT) has scheduled the hearing regarding the Glen Abbey development applications for July 6 to November 20, 2020. The Region of Halton, Conservation Halton and the Fairway Hills Residents Association have been made parties to the hearing on Glen Abbey development applications. An issues list and draft Procedural Order for the hearing is currently in the process of being finalized. A further pre-hearing conference on Glen Abbey development applications will take place on November 15, 2019. The purpose of the further pre-hearing is to update the Tribunal on the status of the town’s pending appeal before the Court of Appeal regarding ClubLink’s application under the Ontario Heritage Act to demolish the golf course, and to provide an opportunity to revisit both the issues list and the Tribunal’s Procedural Order for the hearing, as may be required, in order to address the disposition of the phasing motion and any other procedural matters that may arise. This pre-hearing conference will also be the time that the Tribunal will identify the list of participants, which will include those who have indicated to date their intention to be a participant in the hearing. In addition, the town’s motion requesting an order that the hearing on the Glen Abbey development applications be phased, whereby there would be a determination by the LPAT on the principle of the redevelopment first before addressing the technical issues of the subdivision, will be heard at 9 a.m. at Town Hall on March 27, 2019. On November 21, 2017, Clublink submitted an application under Section 34 of the Ontario Heritage Act to remove the golf course in its entirety. This application is the subject of litigation between the town and ClubLink as to whether ClubLink has the authority under section 34 to make the application. In the interim, by court order, the town agreed to render a decision on the ClubLink application. Planning and Development Council refused the application on February 12, 2018. ClubLink, the owner of the property, appealed this decision to the Ontario Municipal Board (OMB). A court hearing to determine the dispute took place on July 16 and 17, 2018. The written decision from the Court was issued on October 25, 2018.
Review the Superior Court's written decision on Town of Oakville v. ClubLink, 2018 ONSC 6386. The town appealed the October 25, 2018, Superior Court decision pursuant to instructions provided by Town Council on November 5, 2018. A hearing before the Ontario Court of Appeal has been scheduled for May 21, 2019. Any appeal to the OMB from the town’s refusal will not proceed until after the final determination of the court proceedings, and only if the property owner is successful at court. A second LPAT pre-hearing conference will be held with respect to ClubLink’s appeal of Council’s decision of September 27, 2017 to refuse its applications to redevelop the Glen Abbey Golf Course. Under the transition rules established for the new LPAT, this hearing continued under the OMB rules in place at the time the appeal was launched (October 10, 2017). Clublink Appeals of Town OPAs 15 (Urban Structure) and 16 (Cultural Heritage Policies) to LPAT will be proceeding to a case management conference, but a date has not yet been set. Earlier this year, ClubLink and the Building Industry and Land Development Association (BILD) filed a Notice of Application to the Ontario Superior Court of Justice appealing Council’s approval of the Cultural Heritage Landscape Conservation Plan By-law 2018-019, the Ontario Heritage Act Delegation Powers By-law 2018-020, the Cultural Heritage Landscape Conservation Plan for the Glen Abbey Property and Council’s resolution to endorse proposed amendments to Site Alteration By-law 2003-021, the Private Tree Protection By-law 2017-038, and the Property Standards By-law 2017-007. The court hearing to determine the dispute is scheduled for October 22 and 23, 2018. The decision issued by Justice Morgan of the Ontario Superior Court of Justice quashed the town’s Cultural Heritage Landscape Conservation Plan for Glen Abbey and the associated by-laws. Staff is reviewing the decision and will report to Council early in the new year on potential next steps. A case management conference is scheduled to take place with respect to ClubLink’s appeal of the town’s updated official plan and zoning by-law amendments for the Golf Course site approved by Council on January 30, 2018 (OPA24/ZBL 2018-16). This appeal was filed by ClubLink on May 8, 2018 under the new LPAT rules. Under these rules, there is a 10 month mandatory time period within which LPAT must make a decision in the appeal. Prior to a hearing, LPAT holds a case management conference to deal with procedural matters. The hearing on this case has been scheduled for eight days, beginning on June 17, 2019. 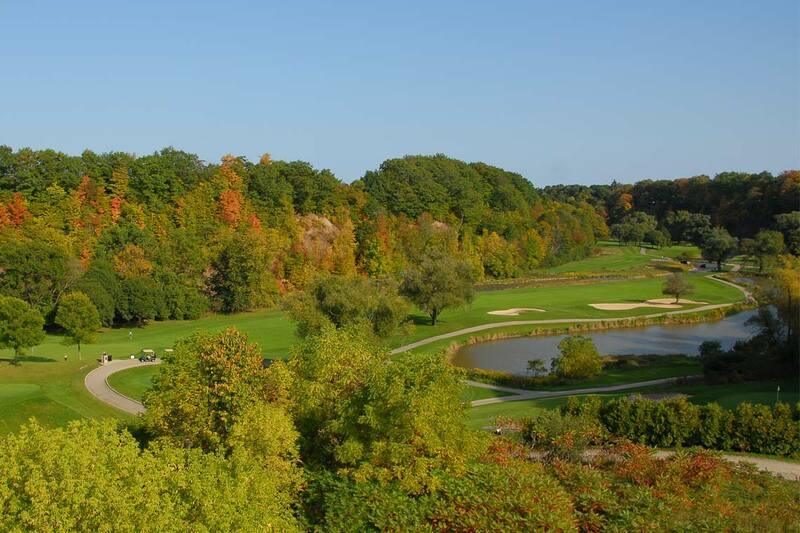 Last year the town initiated a court application to determine its rights and jurisdiction under the Ontario Heritage Act in connection with the Glen Abbey Golf Course. This action was taken in response to the announcement by ClubLink, the owners of the golf course, that it would be seeking to make an application to demolish all buildings (other than the Raydor Estate and the Stables) on the site and remove the Glen Abbey Golf Course in its entirety. A court hearing to determine the dispute took place on July 16 and 17, 2018. The written decision from Justice Morgan was issued on October 25, 2108. The town is proceeding with an appeal of the October 25, 2018, Superior Court decision pursuant to instructions provided by Town Council on November 5, 2018. The notice of appeal will be served as required within 30 days of the Superior Court decision. LPAT pre-hearing took place in Council Chambers. The pre-hearing related to ClubLink’s appeal of Council’s decision of September 27, 2017, to refuse its applications to redevelop the Glen Abbey Golf Course. Under the transition rules established for the new LPAT, this hearing continued under the OMB rules in place at the time the appeal was launched. ClubLink, the owner of the property, has appealed this decision to the Ontario Municipal Board (OMB). However, under the court order, any appeal to the OMB from the town’s refusal will not proceed until after the final determination of the court proceedings, and only if the property owner is successful at court. Oakville Council approved additional planning and conservation measures designed to conserve the cultural heritage value and attributes of the Glen Abbey Golf Course at its Planning and Development Council meeting of January 30, 2018. Read the news release. ClubLink has filed a Notice of Application to the Ontario Superior Court of Justice appealing Council’s approval of the Cultural Heritage Landscape Conservation Plan By-law 2018-019, the Ontario Heritage Act Delegation Powers By-law 2018-020, the Cultural Heritage Landscape Conservation Plan for the Glen Abbey Property and Council’s resolution to endorse proposed amendments to Site Alteration By-law 2003-021, the Private Tree Protection By-law 2017-038, and the Property Standards By-law 2017-007. No court date has been set. The two planning amendments approved by Council, By-law 2018-015 that adopts Official Plan Amendment 24, and Zoning By-law Amendment 2018-016, were appealed to the Ontario Municipal Board by ClubLink. No hearing date has been set. The Ontario Divisional Court denied the town’s motion for leave to appeal the OMB’s decision that the ClubLink development application was complete when submitted to the town in November 2016. However, since the town proceeded to process the application and Council made a decision to refuse the official plan and zoning by-law amendments in September, the OMB will be required to have regard to Council’s decision at the hearing for this application. Heritage Oakville reviewed the proposed Conservation Plan and related by-laws, and the proposed zoning and official plan amendments to provide its input to Council. Two public open house sessions were held at Town Hall on the Conservation Plan and draft Cultural Heritage Landscape Conservation Plan By-law, a proposed official plan amendment and proposed zoning by-law amendment. Notice of proposed town-initiated official plan amendment. The Conservation Review Board Pre-hearing Conference on the objection to the town’s Notice of Intention to Designate filed by Pacific Life Insurance has been cancelled as Pacific Life has withdrawn its objection. Review the withdrawal acknowledgement letter pdf. Council voted unanimously to pass By-Law 2017-138, a by-law to designate the Glen Abbey Golf Course as a property of cultural heritage value or interest. Read the news release. Heritage Oakville reviewed the proposed Conservation Plan and related by-laws, and the proposed zoning and official plan amendments at its meetings of December 19, 2017 to provide its input to Council. A special meeting of Planning and Development Council was held on December 12, 2017 to table proposed site Conservation Plan and related by-laws, zoning or official plan amendments. Planning and Development received a report on a proposed amendment to Zoning By-law 2014-014 to regulate the use of the Glen Abbey property, and the erection, location and use of buildings and structures on the property, in a manner that supports the conservation of this cultural heritage landscape. A recommendation report will be brought back to Planning and Development Council for decision on January 30, 2018. Notice of proposed town-initiated zoning by-law amendment. ClubLink submits its formal application under Section 34 of the Ontario Heritage Act to remove the golf course in its entirety and demolish all the buildings (except the RayDor Estate and stables). In response to the announcement by ClubLink, the owners of the golf course, that it would be seeking to make an application to remove the Glen Abbey Golf Course in its entirety, the town initiated a court application to seek direction regarding what the Ontario Heritage Act permits, and whether ClubLink has the authority under Section 34 to make such an application. Read the news release. ClubLink Corporation appealed Town Council’s decision of September 27, 2017, to refuse their application to redevelop Glen Abbey Golf Course to the Ontario Municipal Board (OMB). A special meeting of Planning and Development Council began on September 26, 2017, to consider the ClubLink’s application to develop its Glen Abbey property. The meeting continued at Town Hall on September 27, 2017, where Council unanimously voted to refuse ClubLink’s applications for official plan and zoning amendments for its Glen Abbey property. In accordance with Planning Act requirements, ClubLink’s application for approval of its plan of subdivision for the site went to Planning and Development Council for final decision on November 6, 2017. Planning and Development Council refused ClubLink’s application for its Plan of Subdivision. Clublink has appealed Council's decision to the Ontario Municipal Board. For more information review the ClubLink appeals Glen Abbey applications to the Ontario Municipal Board news release page. On August 21, 2017, Council unanimously voted in favour to proceed with a Notice of Intention to Designate the Glen Abbey property as a significant cultural heritage landscape under s. 29 of the Ontario Heritage Act. For details, visit our Cultural Heritage Landscape Strategy page and read the news release. Please note that the recommendation to designate the Glen Abbey property as a significant cultural heritage landscape is based on the cultural heritage value of the property, which has been assessed by the town through its Cultural Heritage Landscapes Strategy. This proposed designation is separate from the applications filed by ClubLink to allow the redevelopment of the property for residential and commercial uses, which are not before the Heritage Committee on August 15 or Council on August 21. It is proposed that the ClubLink development applications will be considered at a future meeting of Council on September 26, 2017. Staff will bring forward separate reports to Council on each of the three remaining Council endorsed properties after they have moved through Phase Three of the process. On August 15, 2017, the Heritage Oakville Advisory Committee approved a staff report recommending that the town proceed with a Notice of Intention to Designate the Glen Abbey property as a significant cultural heritage landscape under s. 29 of the Ontario Heritage Act. OMB rules ClubLink application complete and town begins development application review process. Council recognized Raydor Estate/Glen Abbey Golf Course as one of four significant cultural heritage landscapes in Oakville. Town staff will now lead Phase Three implementation work to identify and recommend to Council potential measures to safeguard the heritage attributes of these properties. The Ontario Municipal Board upholds the town’s interim control by-laws as appropriate and necessary. The ICBL will now remain in effect up to and including January 31, 2018. On December 12, 2016, ClubLink appealed to the OMB to determine the completeness of their application. ClubLink asked that this motion of appeal be joined with the existing OMB hearing on ClubLink’s appeal of the town’s ICB. The town opposed the joining of the two appeals and the OMB agreed. The hearing of the motion was held on March 28, 2017. The town is awaiting the OMB's decision. A public open house on the town’s Cultural Heritage Landscapes Study was held on March 7, 2017 at 7 p.m. in the South Atrium at Town Hall. The open house had information stations for each of the eight properties that are currently being studied as part of Phase Two, including Glen Abbey. Visit the Cultural Heritage Landscapes Study page for more information. The OMB hearing on the town’s Interim Control By-Laws 2016-024 and 2016-115 ended after eight days of hearings. A written decision was issued by the OMB upholding the town’s ICBL on May 10, 2017. A special meeting of Council concerning Glen Abbey Golf Course was held on January 23, 2017. Town staff and legal counsel presented an update on the status of ClubLink’s appeal of the town’s Interim Control By-Law 2016-24 to the Ontario Municipal Board (OMB), as well as issues related to ClubLink’s application to develop Glen Abbey Golf Course. Review the staff report from the January 23, 2017, Special Council meeting agenda. Review the January 23, 2017, Glen Abbey Golf Course Update pdf. Watch the Special Meeting of Council, January 23, 2017 video. The final deadline for exchange of witness statements and replies for the January 30, 2017 OMB. On December 12, 2016, ClubLink has appealed to the OMB to determine the completeness of their application. A hearing date has not yet been set for this appeal. The town informed ClubLink that additional information was required for its application. ClubLink appealed town’s one year extension of its ICBL 2016-024 to the OMB. ClubLink submitted an application for redevelopment of Glen Abbey Golf Course. The town had 30 days to review the application to determine its completeness. Council approved a one year extension to the town’s ICBL 2016-024. A second prehearing conference was held by the Ontario Municipal Board (OMB) on preliminary matters such as identifying any further issues, parties and/or participants; and providing further direction for prefilling of witness lists, expert witness statements and written evidence as may be necessary. The Procedural Order for the ICB Hearing was approved by the board on June 30, 2016. It outlines the procedures that are to be followed leading up to the hearing on January 30, 2017. A prehearing conference was held on June 7 where the OMB set a two (2) week hearing date for the full hearing of ClubLink’s appeal of the ICB, starting on January 30, 2017 and continuing through the week of February 6, 2017. Parties to the hearing include ClubLink, the Region of Halton, Conservation Halton and the Town of Oakville. Nine participants have also registered. ClubLink Holdings appealed ICBL 2016-024 to the Ontario Municipal Board (OMB). Town passed ICB. Members of the public who provided comments at the meeting were invited to register as participants in the OMB hearing process. First pre-consultation meeting with ClubLink. Applicants are required to attend a pre-consultation meeting before submitting a planning application. The meeting is intended to identify key issues and the approvals that will be required with a project, and confirm the supporting materials that must be submitted with the planning application(s).